At Simmers we can take a new crane project from start to a turnkey finish. Our in house engineering staff will design a crane that meets your needs and CMAA design standards. We will supply all equipment through our network of vendors and fabricate the crane at one of our facilities. Once we have it built we utilize our own personnel for field installation. Our crews are highly qualified and trained for this specialty type work. For more information on how Simmers crane can help you with your next bridge crane project please CONTACT US. Below are some examples of past projects we are proud to have been a part of. Simmers was called upon to solve an issue loading a new horizontal boring mill. The problem was that the customer did not want to interfere with their high bay crane space and the boring mill was located in a small addition off to the side that did not have crane coverage. The solution had to lift 7 1/2 ton and have no obstructions into the high bay space when large components are loaded out. 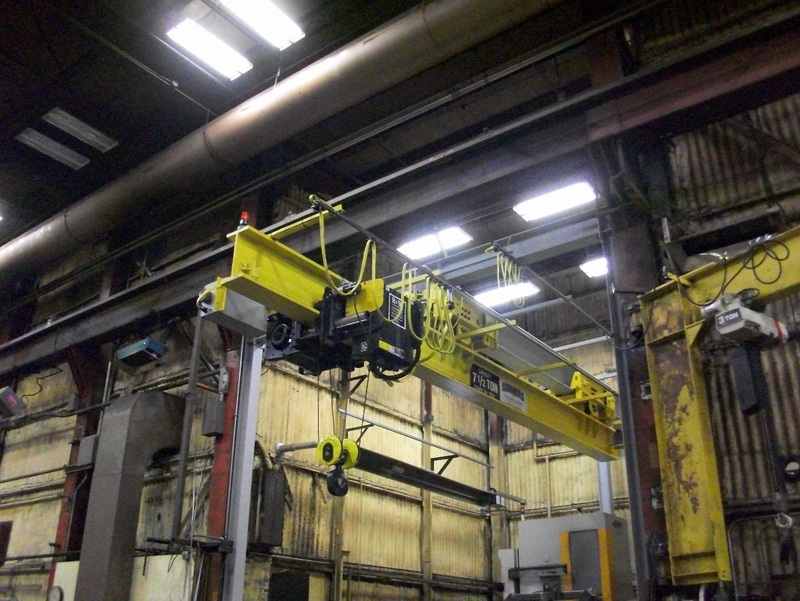 Our engineering team went to work designing a cantilever monorail that could extend out into the high bay space and retrieve material placed by the overhead crane. The monorail beam could then fully retract when not in use so that there would not be interference with the high bay crane. The solution worked flawlessly and it provided the customer exactly what they needed. Our customer presented us with the opportunity to design and build two new 35 ton bridge cranes for their existing runway. At a 75Ft span the box girders were designed and built in house by our Simmers engineers and fabricators. 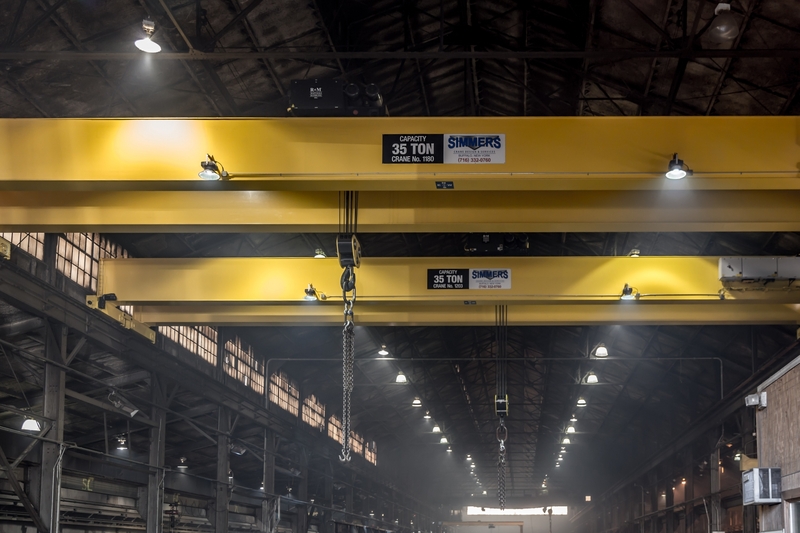 These twin 35 tonners are equipped with a tandem radio for making dual synchronized picks and have two 180W lights per crane for added floor visibility while the crane is over head.